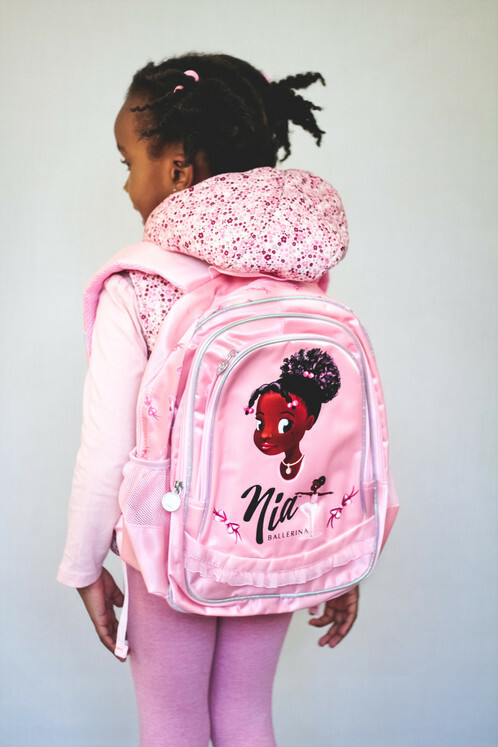 This beautifully illustrated pink rucksack is the perfect accessory for your little ballerina, which is both lightweight and practical with plenty of storage. 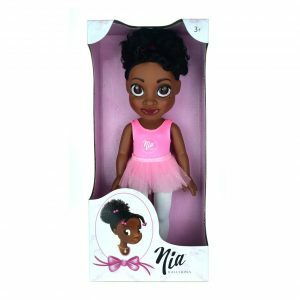 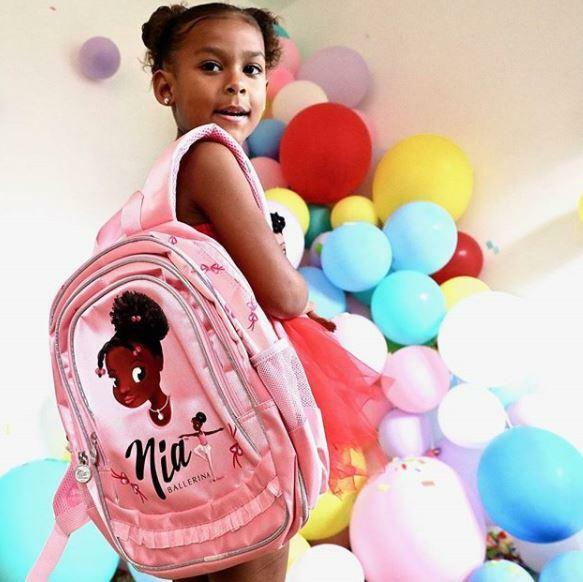 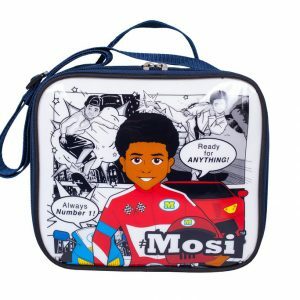 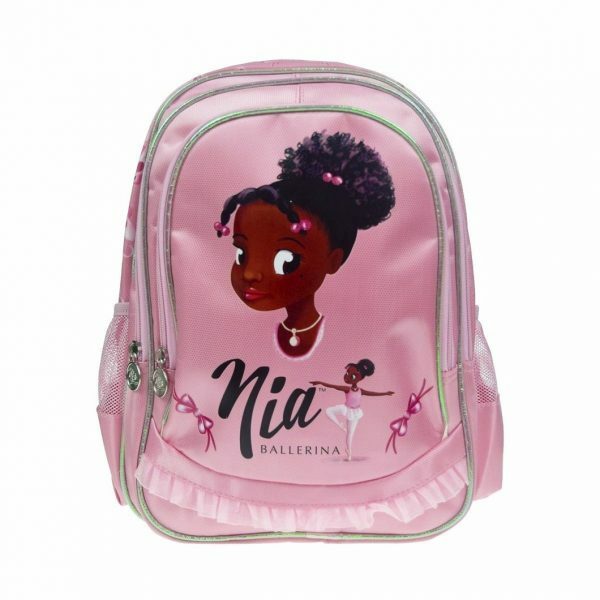 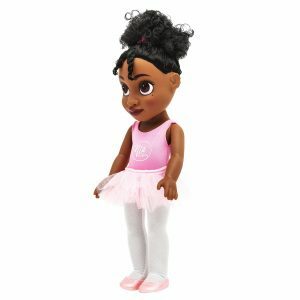 Made from durable and water resistant material this rucksack features a colourful design with two images of Nia Ballerina on the front. 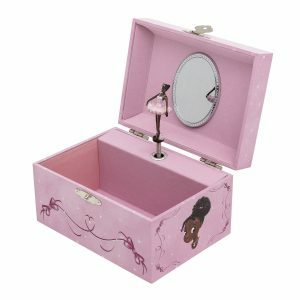 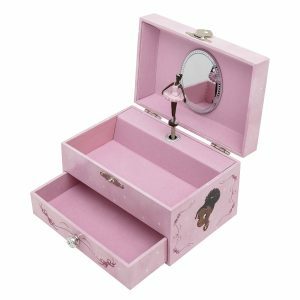 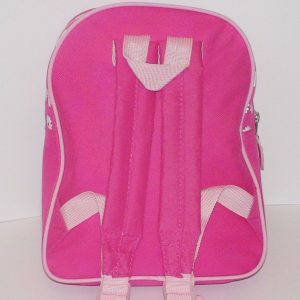 There is one large zipped compartment with an inner pocket, and two smaller zipped compartments with pink lining. 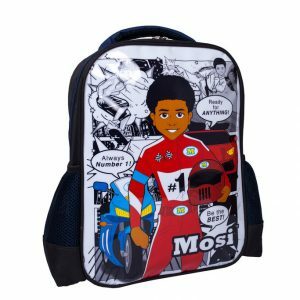 There are adjustable padded straps with reflectors, mesh pockets on either side to fit a water bottle and place for name tag. 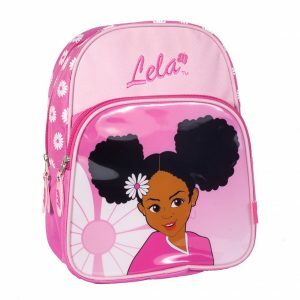 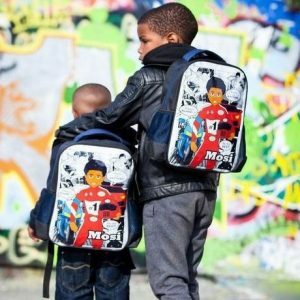 This unique rucksack is an ideal bag for school, dance class, sleepovers or just on the go!